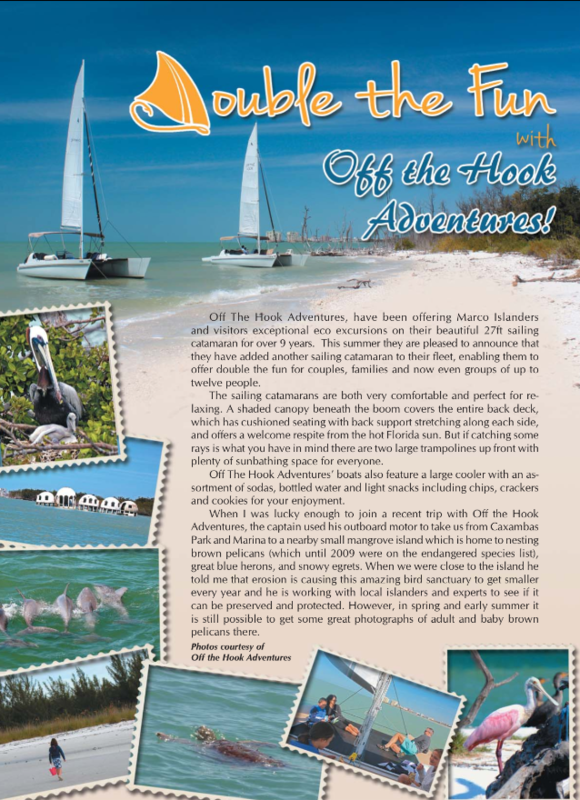 Off The Hook Adventures, offers Marco Islanders and Naples Florida visitors exceptional boat tours on their beautiful and relaxing sailing catamarans **for over 10 years**. groups of up to twelve people. 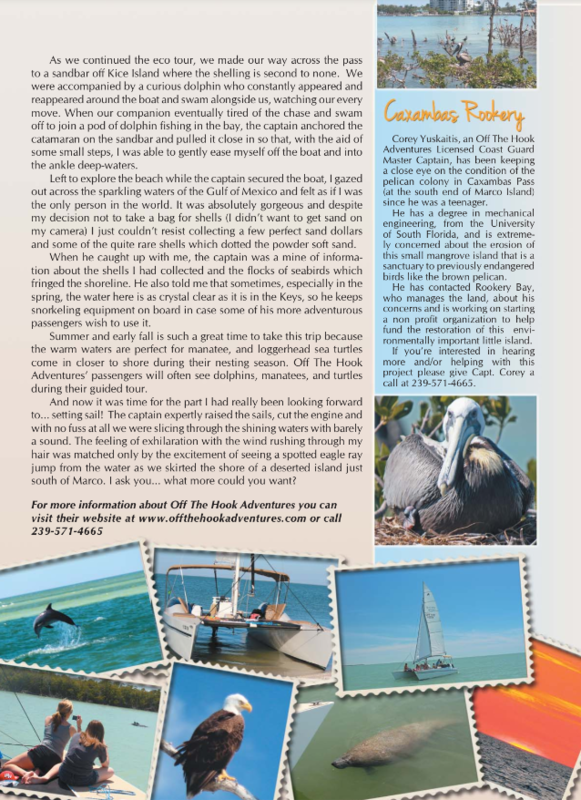 Our sailing catamaran boats are both very comfortable and perfect for relaxing and touring for Dolphins and wildlife. plenty of sunbathing space for everyone. and cookies for your enjoyment. and some of the quite rare shells which dotted the powder soft sand. I had really been looking forward to… setting sail! south of Marco. I ask you… what more could you want?